As I warned at the beginning of this book adventure, I will not always stick to writing about the book. Today, I am more interested in the publisher of the story than the story itself. As you can see from the picture, this is a Little Golden Book. Oh, the land of Little Golden Books… They were a part of our childhoods. They were very distinctive and a goldmine for the original publisher, Simon and Schuster, who released the books in cooperation with the Artist and Writers Guild, Inc. in 1942. The books were originally 25 cents. Little Golden Books represented a change in the field of children’s books. For the first time, children’s books were priced so that the books were accessible to all children. Prior to this time, children’s books were expensive and not found in all homes. The original concept was to bring high quality but low prices to the children’s book market. Also the books were designed to be sturdy, which was also new to the industry. Another large change was that the books were available outside of book stores. They were sold in grocery stores and department stores. This made them even more accessible to all children. The bestselling Little Golden Book of all time is The Pokey Little Puppy. In fact, it is the bestselling children’s book of the 20th century. Famous writers and illustrators have contributed to Little Golden Books including Margaret Wise Brown, Garth Williams, Richard Scarry and Eloise Wilkin, to name a few. As times changed so did Little Golden Books. While some of the original titles stayed around, there were stories introduced over the years that reflected the societal influences of the time. For example, there were Roy Rogers and Dale Evans, Mr. Rogers, Sesame Street, and Underdog stories. There is currently an exhibition at the Smithsonian American History Museum about Little Golden Books. The exhibition runs until January 5, 2014. In the last few years, I have heard suggestions that instead of giving cards to children that you can give a book for about the same price. It looks like Little Golden Books will continue to entertain children for years to come. 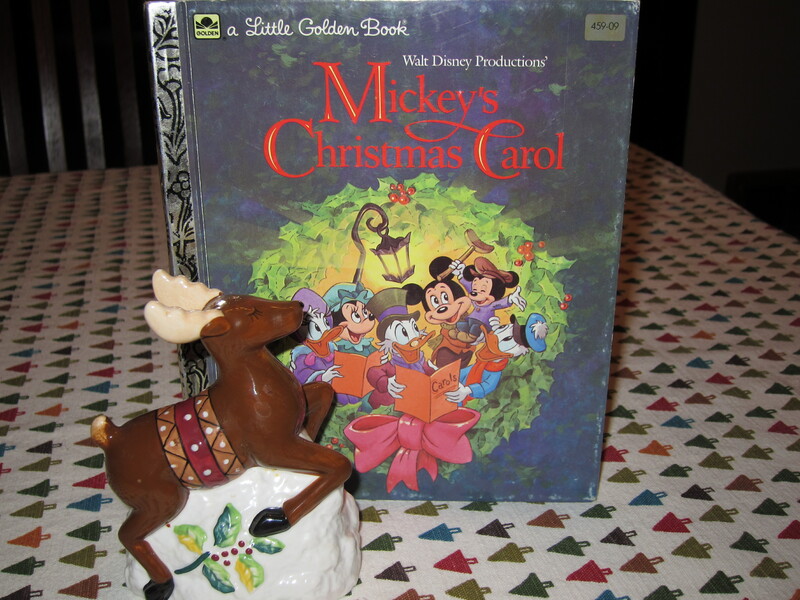 This entry was posted in Talking Books and tagged children’s books, Golden Book, Little Golden Book, Little Golden Books, Mickey’s Christmas Carol, Smithsonian Exhibition, The Pokey Little Puppy. Bookmark the permalink. I loved the Little Golden Books. I definitely remember having Three Little Kittens when I was growing up.